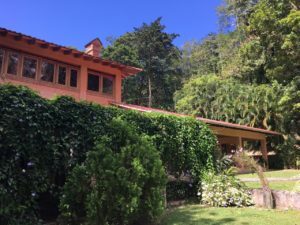 Yet Another Award to La Villa de Soledad! What an honor to receive the Guest Review Award by Booking.com! 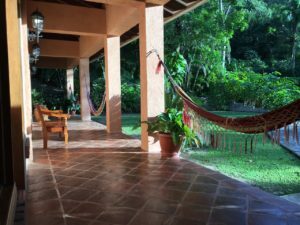 Yes La Villa de Soledad has just been awarded the Guest Review Award by Booking.com! Soledad and I would like to thank all the booking.com guests that have stayed with us during 2016. Thank you for taking the time to write a review about your experience with us and sharing in on the web. It means a world to us and makes our day every time we get notice of a new review. It means a lot to other travelers who are considering visiting the Cangrejal and staying with us. This distinction, together with those we have received by Tripadvisor in the past encourages us to continue striving towards excellence in our service. We are a small family run business. Each one of us pitches in to make our guests comfortable and provide for a unique experience. We are fortunate in the fact that our bed and breakfast is in a unique spot. Our vantage point provides for spectacular views. The proximity to the Cangrejal River means that you will hear the murmur of the water as it races towards the nearby Caribbean Sea around the clock. The fact that you can enjoy outstanding birdwatching from the comfort of our indoor / outdoor spaces makes it a dream come true for birders. The tropical vegetation that surrounds our Hacienda Style building makes for an ideal combination. If you are looking for a great travel experiences do consider booking with us. We only have four rooms available for guests. This means that our service will always have a personal touch. We love getting to know our guests and insuring they are happy. Word of mouth is getting around about our little jungle lodge. Word of mouth does not travel fast, but it is steady, and snowballs into big news. Give us an opportunity, and we will surprise you with the experience you will have with us. If you have any special needs, let us know, we will work hard to meet them. To our guests who have already spent some nights at La Villa de Soledad, thanks for sharing your experience. Most of all, thank you for awarding us the guest review award by booking.com! In the end, it is you, with your reviews, that have given us this award!